Manufactured in Germany by Daimler AG, the Setra S417 has been a charter bus staple in the North American market for over 25 years. Daimler AG owns well-known automotive brands including the well-known Mercedes-Benz. The first Setra charter bus was launched in 1951 and continues to sell well in North American and European markets. The vehicle is well known for its distinctive "S" design across the bus' window. Setra is geared to release future designs with new, modern features. 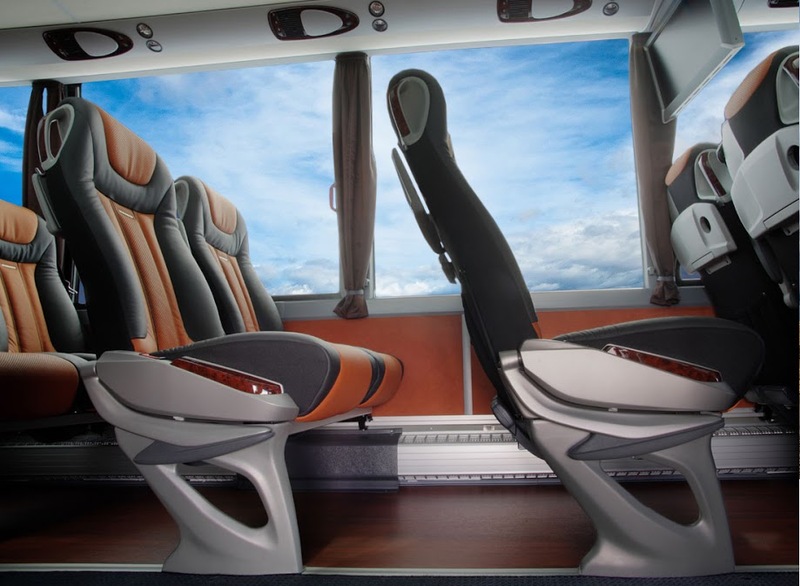 Many of these features are new to the motor coach industry. These will include a new second door, "TopSky" roof, rear window, and club corner lounge seating. Easily recognized by a metallic "S" running across the vehicle's windows, the Setra S417 has amazing curb appeal. Many customers and operators attest to the vehicle's handsome exterior. The interior of the bus is equally appealing. LED reading lights, seats with high-quality fabrics, and multi-channel sound add to its luxurious feel. The Cross Country Tour: Organizing a bus tour across the United States is a complicated process. Let your choice of bus rental be an easy one. 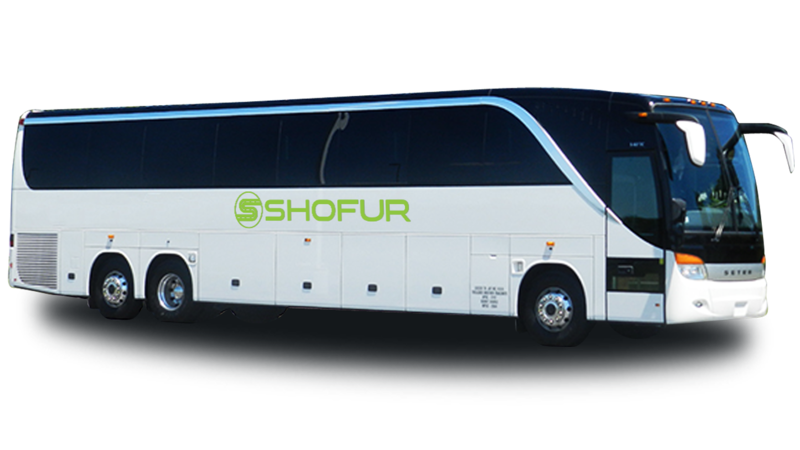 These charter buses are designed to travel long distances with large groups of passengers. Ample storage for oversized luggage ensures you can take all the necessities along your trip. Newer models feature an extra quiet ride for catching up on sleep between destinations. The Concert: When the music keeps on going, so should your bus rental. Setra models are known for their reliability to ensure you arrive to the concert on time. Nothing is more frustrating than missing the opening act of your favorite recording artist. You also have outlets to charge your phone so you will be ready capture all the magic of photos and videos for yourself and social media. For more information on rental options please contact a reservation agent today. The TopClass Setra S417 is designed and manufactured by Daimler AG in Germany. Daimler AG owns a number of automotive brands including Mercedes-Benz, Freightliner, Smart Automobile, and Thomas Built Buses. Setra has been manufacturing motor coaches since the 1950s. The company was sold to Daimler AG (formerly Daimler-Chrysler) in 1995. MCI (Motor Coach Industries) is the exclusive distributor of Setra vehicles in the United States and Canada. The company also offers the Comfort Class S407 model. For more information on specific models and features visit www.setra-coaches.com.